Published: Sept. 15, 2018 at 08:49 a.m. 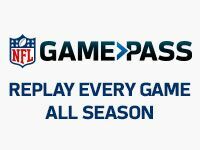 Updated: Sept. 15, 2018 at 10:19 p.m.
Dallas Cowboys pass rusher DeMarcus Lawrence has been dealing with a minor groin injury this week as the team prepares to play the division rival New York Giants, but that isn't stopping him from looking forward to Sunday's game. Specifically, Lawrence seems excited about his expected battle with Ereck Flowers. The Giants offensive tackle struggled in Week 1 against the Jacksonville Jaguars' Calais Campbell, and Lawrence told The New York Post that Flowers should be ready to face another "beast" of a challenge Sunday night. "Oh, absolutely. I'm a dog, though," Lawrence said Friday. "I eat, sleep, kill football. Don't get me started. Just looking forward to the matchup." Lawrence sat out Wednesday's practice, but has been full-go the last two days and was not on Friday's injury report. With the Cowboys looking to bounce back from last week's season-opening loss to the Carolina Panthers, Sunday's contest with the Giants provides the perfect chance for the team to jolt life into the team's playoff aspirations. Lawrence, who's coming off a remarkable 2017 Pro Bowl-caliber campaign, could be the catalyst for a defense looking the snuff out the Giants' offensive attack. With rookie Saquon Barkley adding another dimension to the Giants' offense, Lawrence understands the challenge that lies ahead -- a test that requires busting through Big Blue's O-line. As colleague Nick Shook pointed out in his Behind The O-Line series, Flowers' struggles in Week 1 certainly didn't help New York's cause. A bounce-back performance against the Cowboys could go a long way in helping the Giants fend off what should be a formidable challenge from Lawrence and the rest of the Dallas pass rush. "You dream of nights like this," Lawrence said. "Sunday Night Football, all the lights, 10 [Eli Manning] just sitting back in the pocket. But we got to stop the run first in order to get to third down."